The Nuttiness of Natural Peanut Butters: Fad or Fact? 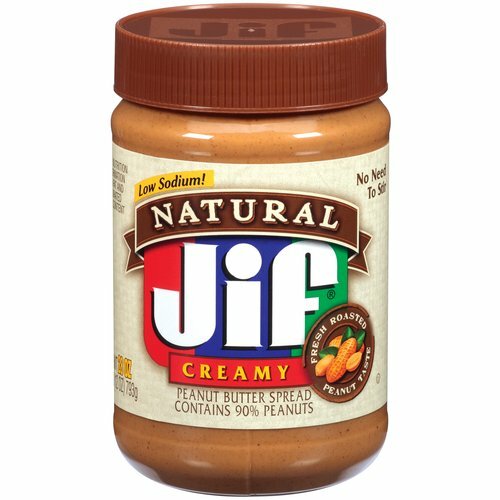 Smuckers, Skippy and Jif – they all have ‘natural’ peanut butters, but are they really natural? What does one qualify ‘natural’ peanut butter as in the first place? Well I’m sure there is some FDA branch who has determined this definition, but I’ll tell you the simplest definition there is going. In my mind, the ingredients label should read ‘peanuts and salt’. That’s all folks. While at a friend’s house for brunch last week, a jar of Skippy Natural Peanut Butter was placed on the dining table. Being the freak dietitian I am, I hustled on over and read the ingredients list. Look nothing gets this RD more excited than a bomb peanut butter just placed on a brunch spread, but the ingredients need to be right. I don’t care if it has less fat or more sodium or more freaking peanuts, the ingredients list is where it’s at people! Now that you know, below is THR’s breakdown of ‘natural’ peanut butters hot on the market. The minute you see ‘oil’ in the ingredient list of any nut butter – go running. Nuts are naturally oily, that is why they are considered a fat. There is absolutely no need to add oil to an already oily product. I don’t care if that oil is ‘natural’. There’s countless niche natural peanut butters out there. As a New Englander, I LOVE Teddies. Not living in my area? Hop on over to Walmart, Target or Amazon to purchase your first jar today! But seriously, feel free to experiment. Natural peanut/nut butters have come a long way in the last 5-10 years. They don’t always required heavy stirring and are far from their initial chalky prototypes. So get out there nut lovers and rediscover what it means to eat natural peanut butter! Hi Kim – I love your blog posts and I can’t wait to try the pizza recipe. Just wanted to get your thoughts on PB2 powered peanut butter….what do you think of this new “fad”? Worth the hype? Hi there! So great to hear from you, glad you love the blog! So PB2 is made by dehydrating peanuts to remove it the oil, thus removing the fat content which is how it’s low calorie. Sounds great, but they do add sugar to it and I am all for whole foods. Sure PB2 adds sugar (only 1 gram), but the real difference is seen in the protein content. Natural peanut butter contains ~16 grams of protein (2 ounces). PB2 contains 5 grams. If you’re eating PB2 for a protein source, it’s not providing you much (less than 1 ounce). But if you’re eating it to kill a nasty sweet tooth – go for it! I say not worth the hype. And here I was thinking I was doing myself a favor w/ the Skippy Natural (super chunk though). 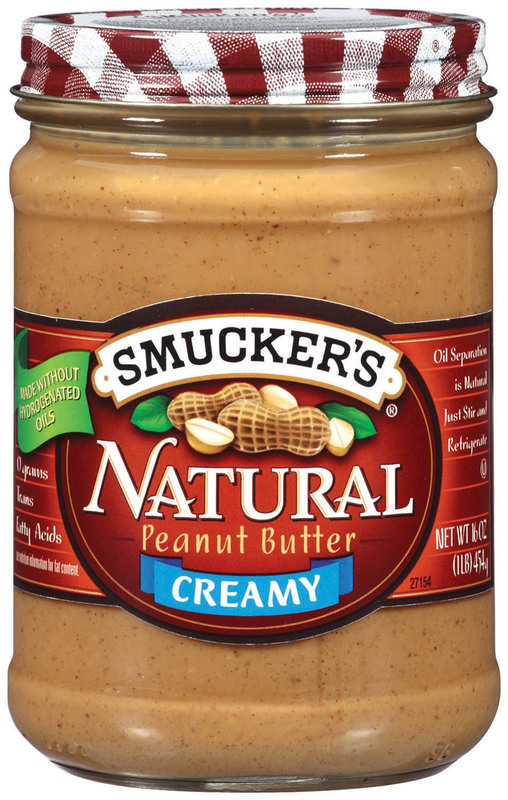 Oh well… How’s the price point on the Smucker’s Natural? I’m going grocery shopping tonight (I know, I am so cool). Hi Matt! 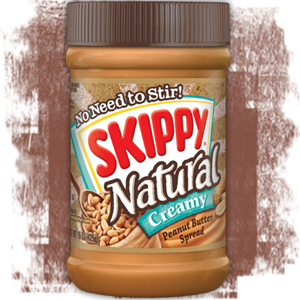 I know plenty of people who have been tricked by Skippy’s Natural Peanut Butter! You’ve probably already done your grocery shopping, but after a little recon work, it looks like Smucker’s PB runs ~$0.60 more expensive than the Skippy. Sure a little more, but I promise it’s worth it!